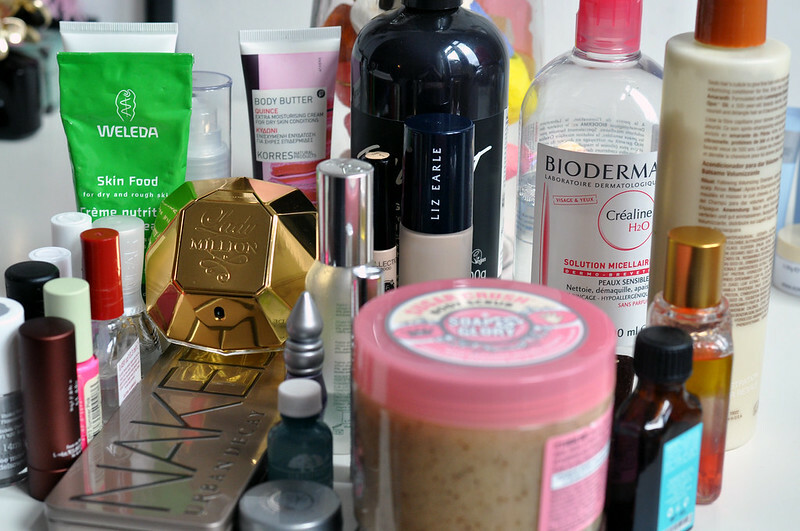 Whilst putting together my 2012 favourites post I realised just how many products I have and how many I actually use. I don't need like 15 body moisturisers when I only really apply it once a week. I've decided to take part in the 100 day spending ban in the hopes that I use up a lot of the products I have. I also would like to put some money together for savings as I'm pretty sure my laptop is going to die soon. I'm not going to make a big deal of it if I break it, I just want to decrease my stash. I am going to make one exception though and not include nail polish in the ban as I know I wont be able to complete it otherwise. My nail polish buying ban last year proves this. I failed miserably at it. I'm also allowing myself to buy essentials like deodorant etc and if I run out of a certain product and don't have others to use then I can buy a replacement. So from Today, January 1st, to April 10th I will not buy any beauty products! Anyone else thinking of doing this? I'm doing this too, I'm not allowing myself to buy any clothes or beauty products apart from the essentials. It's going to be hard but I'm sure it can be done. This is a really good idea, my biggest problems are shower gel (8 full 250ml body shop bottles plus two half full) and lipsticks which I dred to count. Good luck! I had an one year ban on buying eyeshadows. It went pretty well!